New - Cool Palette Video. Take a look! 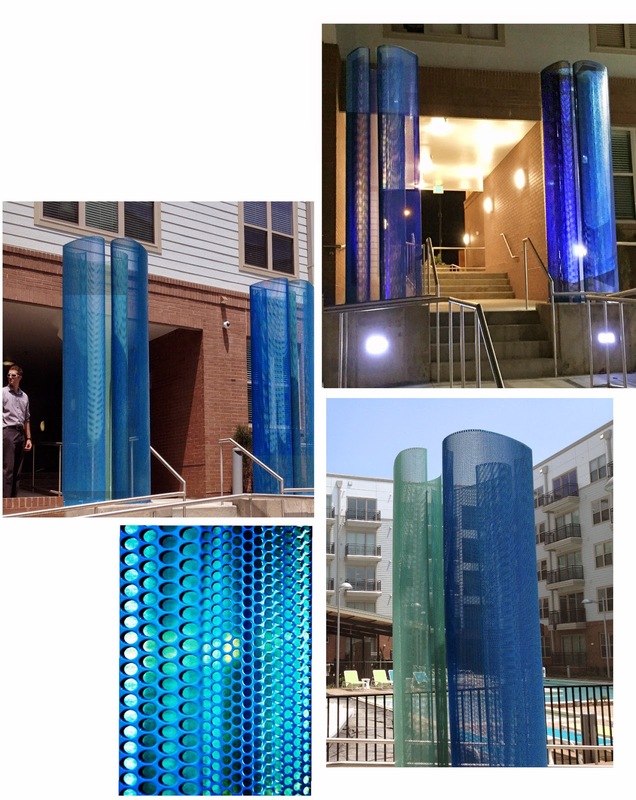 In Durham, North Carolina, Color Field Sculpture enhances an entrance to buildings and pool area. Overlapping transparencies create constantly changing patterns. The cool palette references the surface of the pool and ever changing patterns of refreshing water.